Champion in FR and ENG. At stud 1989 at Dalham Hall. To Japan in 1995 (shuttled to Ra Oro NZ 1999 for one season). In 2000 stands at Ballylinch Stud, Ireland. Lived out his last years in semi-retirement with his companion, Bertie the goat. 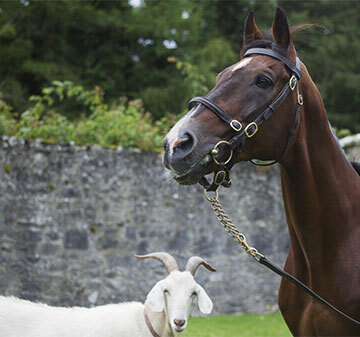 Died peacefully in his paddock at Ballylinch on Oct 7, 2014, at age 30.